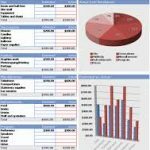 This free film budget template offers the best design available when it comes to mapping out the budget cost and expenses spent. This document is very vital for filmmakers to use because it points out exactly where the money has been going to and it promotes transparency in a way that every detail has been carefully arranged beneath their proper categories. Our free film budget template offers you a design in which you can directly input all of the necessary details such as the breakdown of the budget expenses that filming a particular short movie has cost. 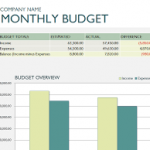 It’s valuable in a sense that you will be able to keep track of the expenses spent. The film budget template has everything you need in order to map out the details regarding any budget cost, the prices of the materials you have bought in order to create that particular film and the expenses you’ve spent on location, materials, actors and etc. In the template that we offer to you, it is clearly very organized and neat in a way that you can easily maneuver and input the data you know into the spaces that have been provided. On the top left hand corner of the template, you can insert in your company logo to give the document authenticity and originality. The top half of the template consists of the personal information regarding the film project, such as the budget draft data, location and information. The information includes the description of what the film project is basically all about it, which is important to anybody reading the document, because they need to have a basic overview to why the project costs that much or etc. 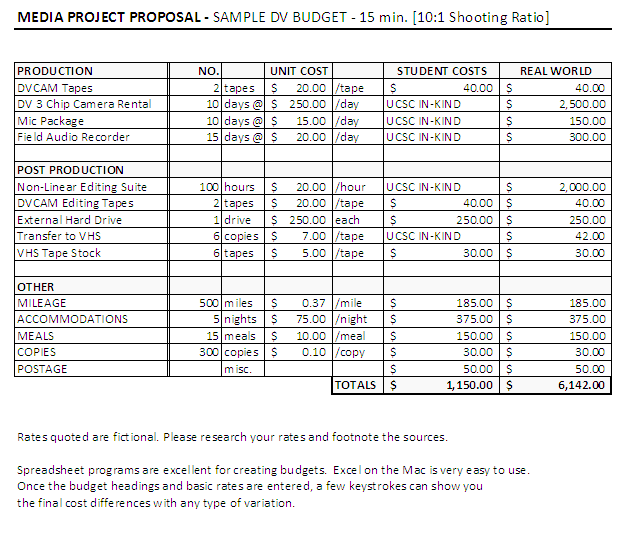 On the bottom half of the film budget template is the detailed breakdown of the budget costs that have been spent during the production of the film. The details include the account number, description and total. The table can be split into two categories , if you want, such as food or location and etc. The breakdown entirely depends on the information you have regarding the expenses and costs of the whole production of your film. Everything has been specified so that nothing will be overlooked. Because of this, you can minimize errors and mistakes when it comes to listing all of the items you used for the film. The template that we offer to you is heavily practiced in the film and business industry, because it influences the people working behind it to be neat and organized when it comes to important documents and papers.